I'm one of those people who loves to be paperless and scan in any paper documents I have. I have an Evernote scanner in my office, but what about when I'm out-and-about? I scan documents, posters, memos, receipts, business cards and more. 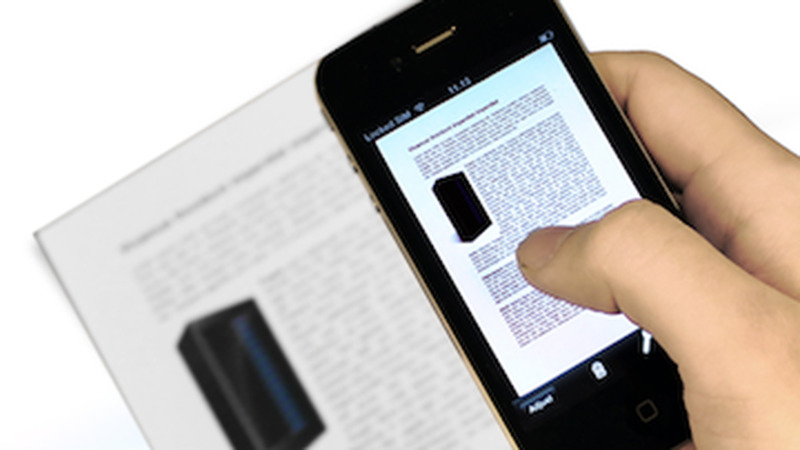 Here are two apps that you can use for document scanning on your Smartphone, and they are both free. Google Drive (Android) - most people don't even know that Google Drive has a scanning feature. Google Drive's apps for Android allows you to scan documents and even perform OCR (optical character recognition) on text in the documents you're scanning. Open Drive, tap "Add New," and select "Scan." It then is saved into your Drive account. This feature is not in the iOS version yet. Evernote (Android/iOS) - There is a separate app, called Scanable, available on iOS, but Evernote has scanning built in to the native app. On the mobile app, click on new note, then Camera and select Document, Camera, Post-It or Business Card. Get the item you want to scan in the box on the screen, click capture and you are all set. With these apps you can make going paperless even easier. I hate lugging things around so I love making all of my documents and resources digital. That way, I only need my smartphone to access materials.